Dustyn Eric Hertenberger obituary. Carnes Funeral Home. May 18, 2016 I miss your voice bub! May 18, 2016 Miss n Love you mucho much! Until we hug & kiss again. I miss your beautiful smile. I miss your beautiful laugh. I miss your sneaky grin. I miss your strong will attitude. I miss your text. I miss everything about you. I just miss you my beloved son, Dustyn Eric! 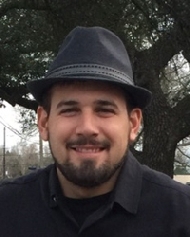 Dustyn Eric, age 25, of Santa Fe, Texas, passed away Sunday, January 24, 2016 due to a single car MVA. He was born on October 17, 1990 in Texas City, Texas. He is preceded in death by his great-grandparents, Adam & Joyce Simon and great-grandparents, Sidney & Margie O’Hara. Survivors left to cherish his memory are his parents, Rance and Michelle Hertenberger, sister, Braianna Rai McCrory (Joey), brother, Dylan Scott Hertenberger (fiance’ Erin Kukuk); girlfriend, Kaila Boggs; grandparents Wilson and Maureen Hertenberger; grandparents Terry “Coogan” and Cynthia Hilton; Uncles, Brent and Wade Hertenberger, and Tim Valdez (Mary); Aunt Sydney Killough (Morris); nephew, Kaidin Mathew McCrory; and many cousins, other relatives and friends. He also left behind his beloved dog Yager. Dustyn Eric was a loving family man and friend to all, with a willingness to lend a hand or ear to anyone in need. He was a hardworking man with a huge passion for welding, both on the job and by devoting his time and knowledge to others who had the same desire for the trade. This also allowed him the opportunity to travel many places he loved. He loved to spend his free time with family and friends, spending time outdoors, and making people smile any chance he got. Dustyn Eric accepted Jesus Christ as his Lord and Savior at a very young age. Dustyn Eric’s “Celebration of Life” visitation will be held on Friday, January 29, 2016 from 6-8 pm at Carnes Funeral Home in Texas City. Funeral services will be held the following day, January 30, 2016; with visitation from 10-11am and Pastor Ward Cusic’s message to follow at 11am at Carnes Funeral Home in Texas City; followed by graveside services at Hayes Grace Memorial Park in Hitchcock, Texas. Pallbearers will be Dylan Scott Hertenberger, Chris, Jared, Hayden, and Dustin Pledger, Robby Hartmann, Raymond Darden, and Paul Guida. Honorary Pallbearers include Ryan Vanderhoef, Kaidin McCrory, Kyle Campbell, Jose Delafuente, and Adam “Trey” Simon. Family would greatly appreciate in lieu of flowers and plants, joining them in donating to Mr. Charles Espinoza. A donation basket will be provided during services by the Hertenberger family. Mr. Espinoza is 31, a son, a father of 4, husband, nephew, grandson, and coworker/friend of many. He is currently at UTMB Blocker Burn Unit and has a very long and painful recovery period due to being the welder severely burned during the fire at Marathon Refinery in Texas City. Our Dustyn Eric is soaring high above with the Eagles and would greatly appreciate any donations for his friend and coworker. Each accident was totally unrelated. All arrangements and services are under the direction of Carnes Funeral Home located at 3100 Gulf Fwy, Texas City, Texas 77591.